3D Printing (3DP) is also known as additive manufacturing which creates physical products from a digital design file using layer by layer. 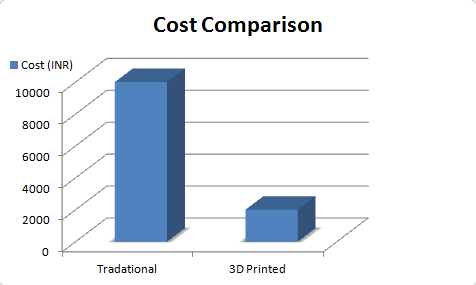 3DP offers distinct benefits that the traditional manufacturing cannot. It creates a breakthrough value in product Designing and production especially across five dimension i.e., Mass Customization, New Capabilities, Shorter Lead Time with Great Speed, Simplification of Supply Chain and Waste Reduction. 3D Printing has power to create anything. 3DP is already used in applications such as in Medical for prosthetic, in Architecture for model designing, in Industries for models, prototypes, casting patterns etc. This is true that 3DP is the Third Industrial Revolution but it is on the verge of becoming basic need of people. Kanika 3D Design Lab based in Indore provides quality 3D Printing and are the user of Mumbai based DBZ’s Accucraft i250+ 3D Printer. They have used 3D Printer to design the legs of a centre table. 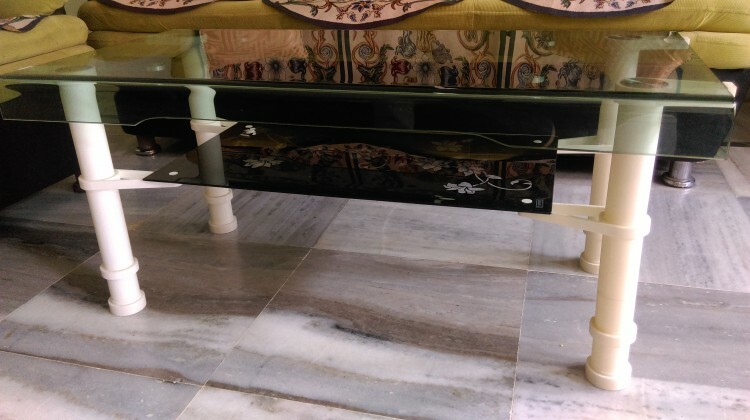 A centre table was kept in store room just because the legs were broken because of poor manufacturing. Now to get the legs out of the conventional method it becomes costly and a headache as one has to go for Dies and Molds or for CNC Machining. They have designed the legs in the CAD software as per their requirement and 3D printed the legs. After assembling and fixing it on the table it is in use again having greater strength than the earlier legs. Kanika 3D Design Lab (K3D LAB) is established in Central India that uses Rapid Prototyping Technology in order to solve the needs for prototyping. The company is equipped with the latest FDM Technology of 3D Printing which can be used for product development, rapid manufacturing, customizing product, etc. The company offers complete designing services as well. In near future company plans to start Metal 3D Printing, SLS and SLA facility in Central India that can help to penetrate in industries like Aerospace, Defense, etc.